I have noticed that Ubuntu community based activities in India are lot less than expected and Fedora leads the game here. To give a boost to Ubuntu, Nigel proposed to hold an Ubuntu Hour for Ubuntu users/power-users to meet. Apart from ubuntu-in mailing lists, rest everywhere the activities are pretty much nil. Nigel sent a mail to ubuntu-in telling that he was organizing a small meetup. Initially I was also not very much hopeful of a huge turnout, but to my surprise 6+1 people turned up. Nigel blogged about it on his weblog on the turn of events. Initially he was sitting alone with a laptop with Ubuntu sticker for confused people. 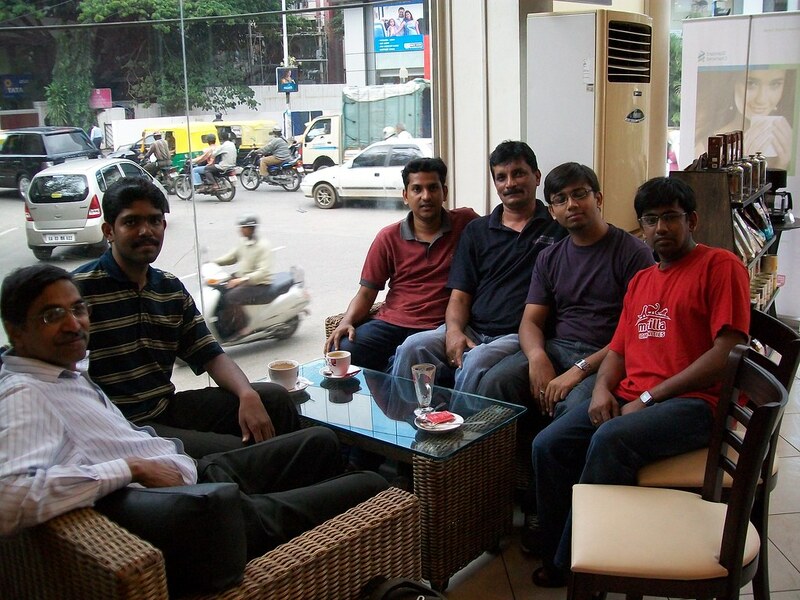 Initially four of them were sitting inside the Cafe Coffee Day on Richmond Road, Bangalore when I turned up. Since I had never seen any of them, I was not sure whether I should ask them or not. Nigel suspected that I was “Manish” as he recognized me by my pic. After talking for an hour we left. Just before leaving, I found Ritesh waiting for us. I had sent a mail to him telling that there is a meeting of Ubuntu users and as a Debian Developer does he want to attend? Well, he got lost and came only after we left. After everyone left, me and Ritesh went inside again to have a coffee. In the next one and a half hours, we talked about Ubuntu and Debian communities, their policies, their cooperation, the plus and minus points of both the systems. We also talked on apt-offline, a tool which Ritesh himself developed for offline package management. He is also a maintainer of laptop-mode-tools in Debian. 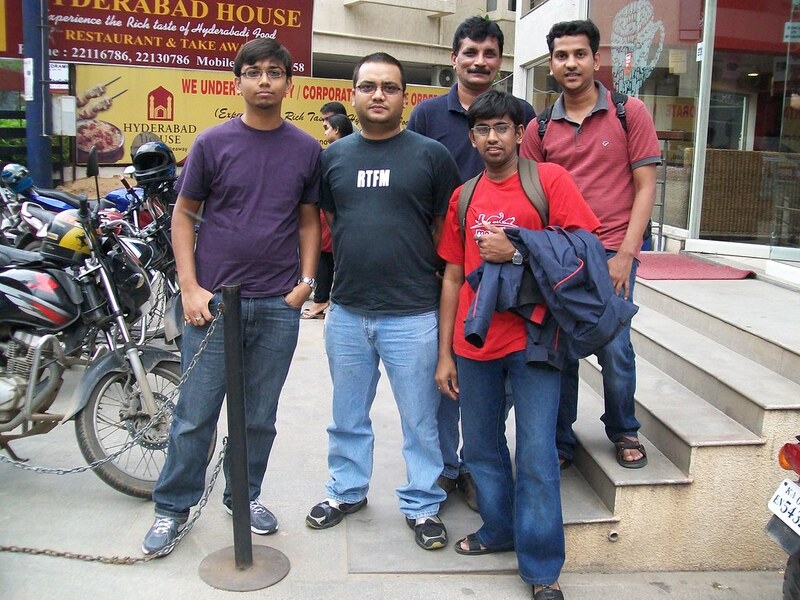 He gave me a lot of insight into kernel development, APT and a plethora of other technologies. The day was fun filled and we Ubuntu people expect to meet every fourth Saturday of every month. Meanwhile I might meet Ritesh again this Saturday to finish the work on apt-offline, so that the changes me and Abhishek made on our forked repos can be merged back upstream.